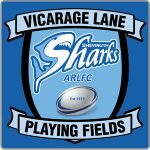 Shevington Sharks is fully committed to safeguarding and promoting the wellbeing of all its members. The club believes that it is important that members, coaches, administrators and parents associated with the club should, at all times, show respect and understanding for the safety and welfare of others. Therefore, members are encouraged to be open at all times and to share any concerns or complaints that they may have about any aspect of the club with one of your coaches or Martyn Ellis, Club Chairman. Recognising the developmental needs and capacity of young people – avoiding excessive training or competition and not pushing them against their will. Securing parental consent in writing to act in loco parentis if the need arises to administer emergency first aid and/or other medical treatment. Never exert undue influence over participants to obtain personal benefit or reward.